Like physical health we all have mental health too. Just as our bodies can become unwell, so can our minds. As with our physical health, having a mental health problem can affect us all regardless of any age, race, religion or income. 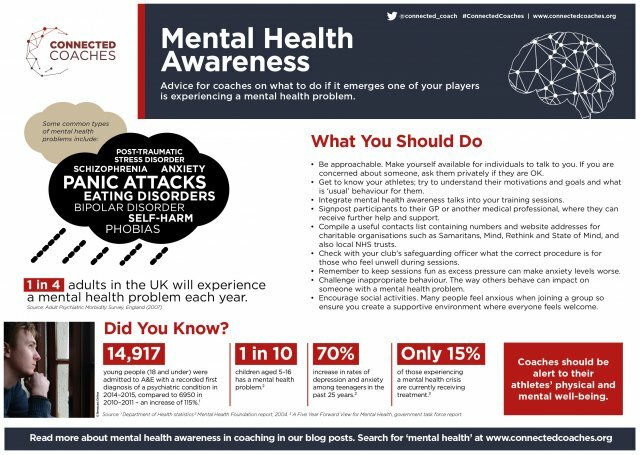 The following infographics and video address and identify areas of interest for coaches to ensure that they meet the needs of their participants - particularly those new to activity.